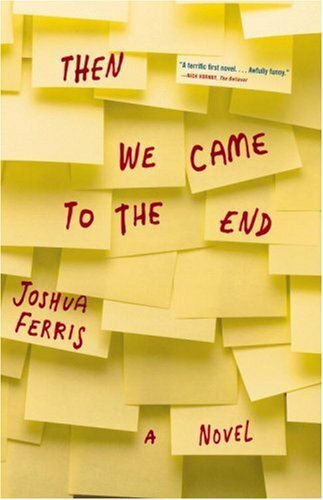 "Everyone is doing it" was a lousy reason to go along with the crowd in eighth grade and it's a lousy reason now. If the whole carpool wants to jump off a bridge, then demand they drop you off at the office first. On the day Lynn Mason was scheduled for surgery, she showed up at the office. Is It Reigning, Reining, or Raining? By way of follow-up, or perhaps continuation, on my Piqued/Peeked/Peaked post, I bring you more easily mixed-up words. Today, I'll address the continued internet confusion of another set of homophones: Reign, Rein, and Rain. part of it, anyway. Source. 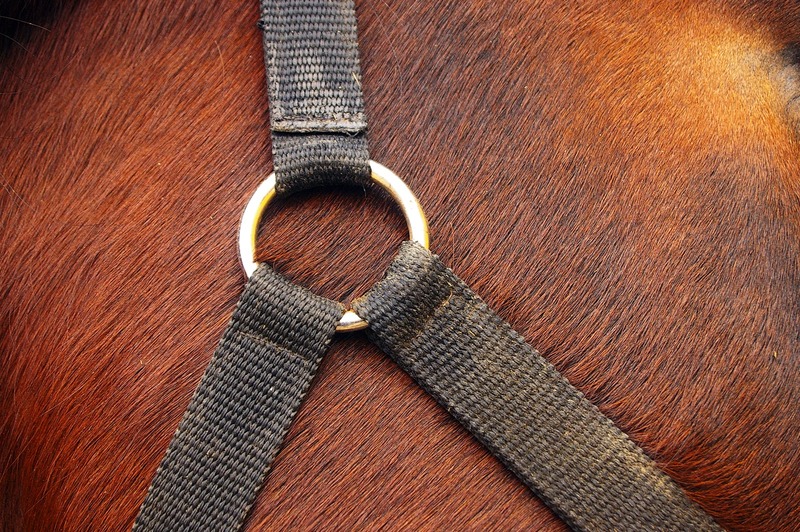 to check or guide (a horse or other animal) by exerting pressure on a bridle bit by means of the reins. draw rein, to curtail one's speed or progress; halt: The rider saw the snake and drew rein sharply. give rein to, to give complete freedom to; indulge freely: to give rein to one's imagination. Also, give free rein to, give full rein to. So if you want to stop a problem before it gets worse, you want to rein it in. Not "rain", which would be meteorologically messy, nor "reign", which would require a royal family. "Rein" is your friend. Do you have problems with these words? Do other people drive you crazy when they confuse them? 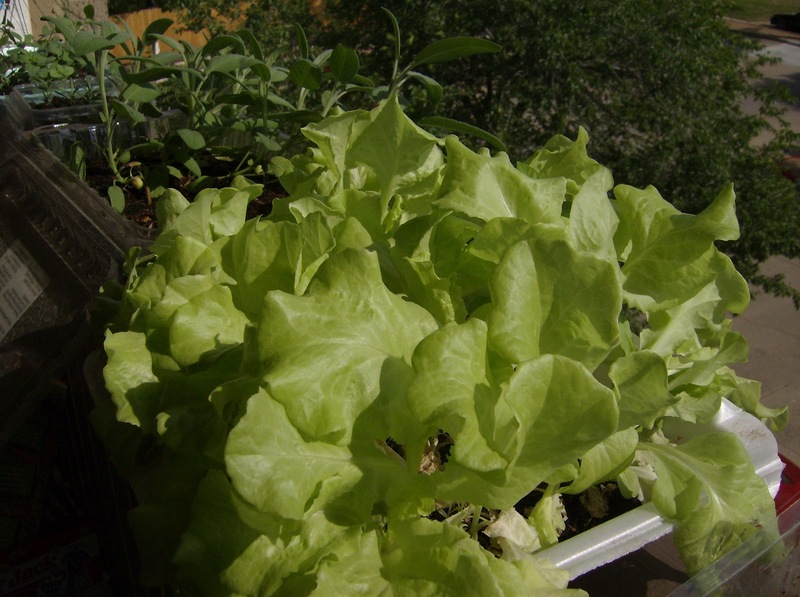 Amongst all the other things I planted during spring break were a couple of boxes of lettuce. I ate the first round of them in mid-April, and then planted more. They've grown up again since then, so much that I could harvest some for my family to have with our tacos when they were here last week. I'm having a hard time judging how much to harvest at once, though; I tend to pick too much for just me to eat at one time. Also in the garden: the green onions are doing well, and we can probably start eating them if we want to. I've already pinched off some rosemary and sage for some soup that I made, but the rest is still growing. 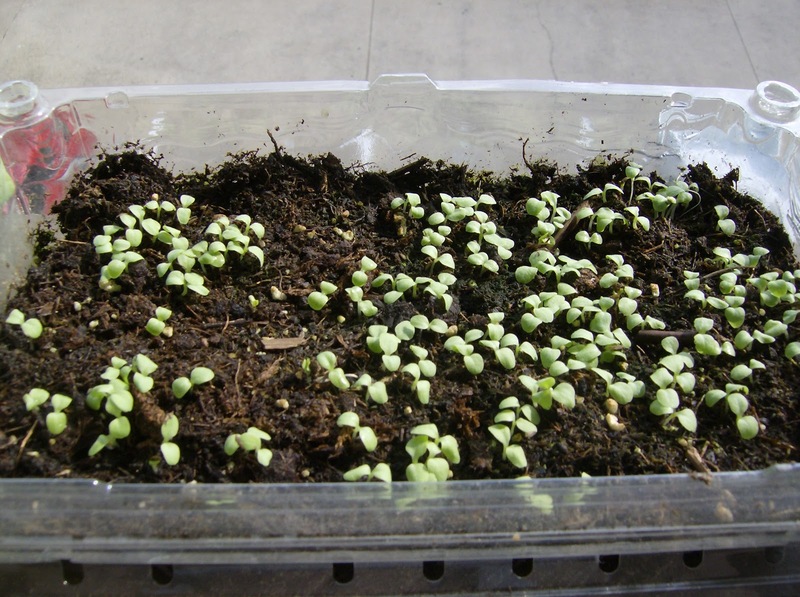 And after weeks of staring at me and doing nothing at all, my oregano is finally starting to grow. Baby lettuce, planted five days ago. I had two tomato plants, both of which have tomatoes on them already. But a few more tomato plants magically appeared in one of my lettuce boxes and among my bell pepper plants. Why? We're not sure if it was pollination or a few rogue tomato seeds in the other packets, but whichever it was, I dug them out and transplanted them into their own pots. Finally, I've planted more marigolds, after not a single one of my first lot took. That's really a bummer, because I'm planting them to keep the aphids away from my tomatoes, and marigolds take a couple of months to flower. They should be around in time for my second round of tomatoes, I hope. Do you have a garden? What do you have in it? This is one of those names that is walking around on a lot of people, but is no less of a good name for all that. Derived from the Latin Paulus, meaning small. It remains popular throughout the Christian world due to Saint Paul. 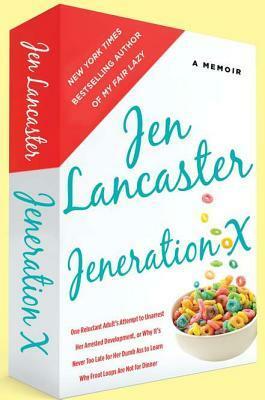 It's currently #186 in the U.S., 13th in Austria, and 25th in France. For some reason, Behind the Name doesn't show a recent ranking for Northern Ireland or Scotland, despite the name being #93 in N. Ireland in 2008 and #94 in Scotland in 2009. It's hard to believe the name would go from the top 100 one year to not even in the top 1000 the next. Famous Pauls: Paul Hamm (Olympic gymnast), Paul McCartney, Paul Newman, Paul Revere, Paul Simon, and approximately 15378 other people. Fictional Pauls: Paul the wine guy (Friends), Paul Buchman (Mad about You), Paul (Pete's Dragon). My Pauls: In addition to knowing way too many people called Paul, including a few that I'd rather not know, I do have a character called Paul. He's kind of complicated. He's slow to trust people and keeps pretty much everything inside. I'm not sure where I'll go with him, but he's fun to write. I've been reading the No Trash Project tumblr page for weeks, at first because it fitted so well into my research thesis, and then continuing because I like it so much. As far as the project goes, it's the same as so many others: Reduce packaging and other waste. Since reducing waste is one of my life goals as well, you can imagine how happy I am to keep reading this site. She (I'm not sure of the gender of the project owner, actually, but for some reason I feel like she revealed that she's a woman somewhere along the line. 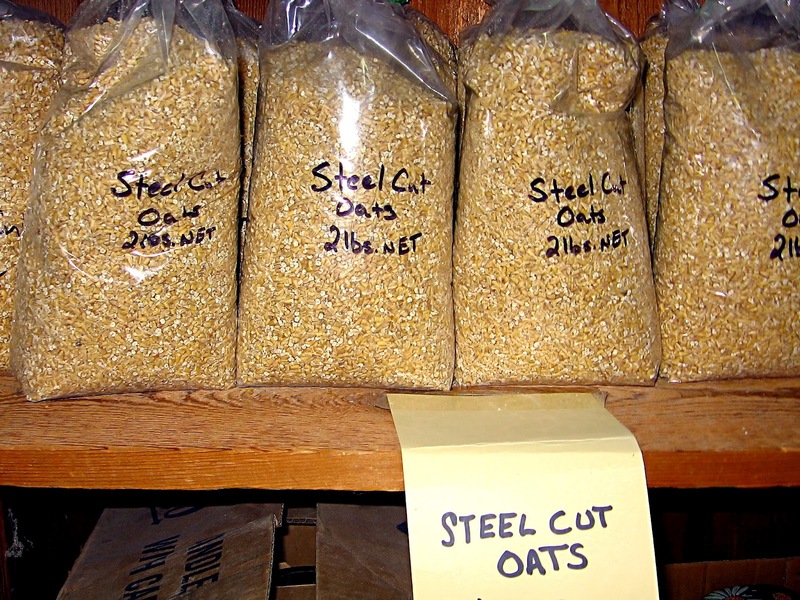 Anyway, we're going with 'she') shared a couple of posts a few weeks ago about making her own milk substitutes, first from oat groats, then from almonds. I'm happy to cut back on my dairy intake (all the dairy I eat can't possibly be healthy), save some money (if possible), and not have a gallon jug to either recycle or reuse after-- I'd much prefer to not bring all those jugs home to begin with. The problem was that I didn't know what oat groats were. 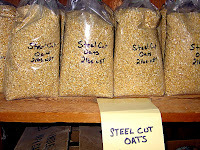 So I turned to our good friend Google, to find out that groats are essentially steel-cut oats before they're cut. Brilliant, since I have those on hand. The good thing about both recipes was that the leftovers-- the oats and the chopped almonds-- are perfectly edible, which makes me really happy, because that's even less waste. I used one of my mesh produce sacks to strain out the solids from the milk, which worked pretty well, although a finer mesh would have been better. The verdict? I prefer the almond milk. It had a better taste, IMO, and also made more milk. It worked well in my tea and cereal. So, I think we have a winner-- maybe not all the time, but certainly a couple of times a month. I'd love to get to the point that I can make most of my milk at home and only buy a gallon if I need a lot of milk for something. For the future, I'd also like to try making my own rice milk to see how well that works. Do you ever drink non-dairy milks? Do you like them? Have you ever made your own?